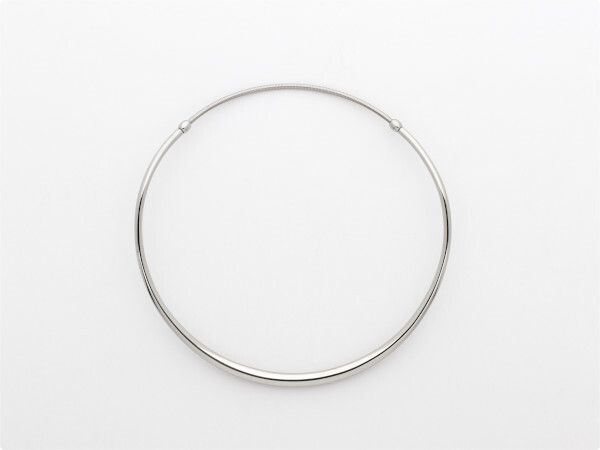 Stainless steel and double bass string choker, with one side raised. Forged mild steel with three-dimensional curve and flexible opening back of double bass string (stainless steel wound) glued on one side and threaded on the other. 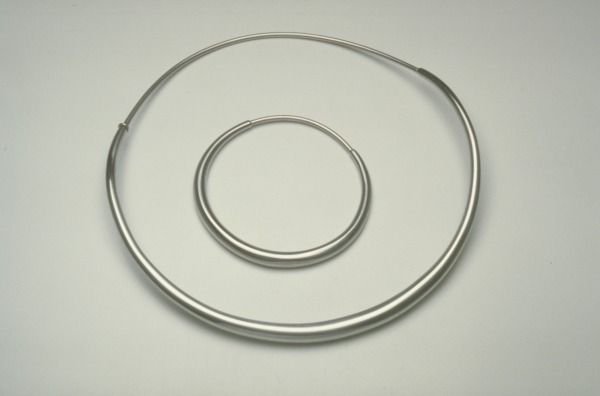 Neckpiece and Bracelet, David Poston, 1978, Crafts Council Collection: J70 and J71. Photo: Nick Moss.